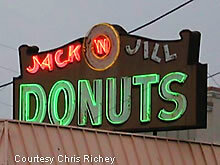 The Jack 'n Jill Donuts of Waco still features a neon sign atop its roof, flagging down potential donut eaters. 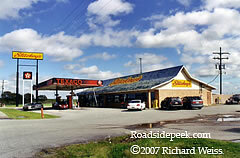 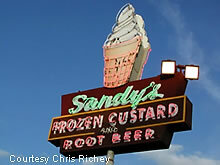 Check out this sign for Sandy's Frozen Custard of Austin, TX. 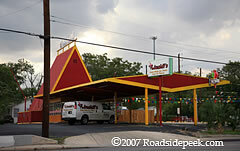 The custard depiction on the sign looks good enough to eat. 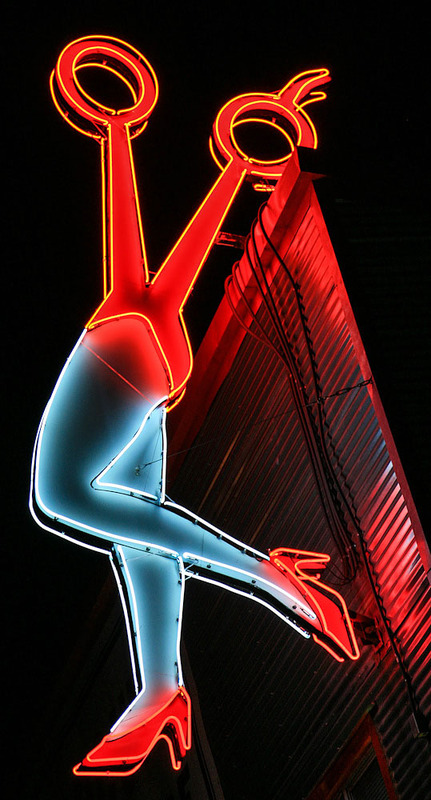 Here's a shot of the neon sign for the Southern Maid Donuts, located near downtown Odessa. 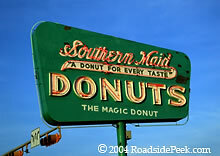 This donut factory features the "magic donut".